Tampa, Fla — Strength for Service recently distributed To God and Country books to cadets in the Air Force. At the end of February, Lt Col Linda J. Pugsley, CAP, with the Civil Air Patrol, U.S. Air Force Auxiliary, received 25 of the devotional books. 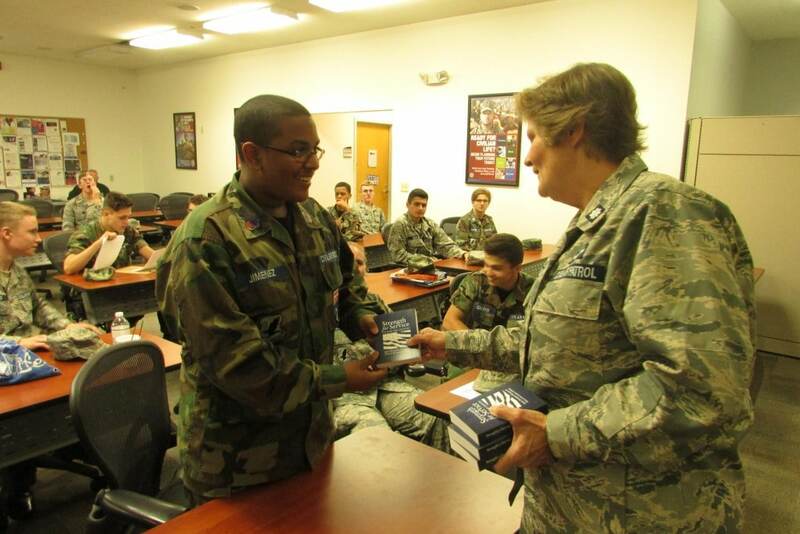 A Chaplain for the Southeast Region based in Tampa, Pugsley distributed the books to cadets with the 89th MacDill Aviation Cadet Sq (MACS) at MacDill AFB, FL.